Here’s an eye-catching statistic: only about 3% of the world’s population is infected with hepatitis C virus (HCV)—but the infection rate in methadone users is a mind-boggling 70% to 90%. This high rate of infection is especially surprising now that better treatments, including an oral medication, are available for HCV infection. The new treatments are well tolerated, with few side effects, and can cure HCV infection in only 8 to 12 weeks. So, why are so many methadone users still HCV positive? What motivates some patients to start treatment, and what keeps others away? A team from Philadelphia conducted a research study to find the answers to these questions. They published their results online December 18, 2017 in the Journal of Health Communication. The risks of chronic HCV infection are generally well known: cirrhosis (20% of those infected), liver cancer or end-stage liver disease (10%), and liver transplant, or death due to the HCV infection (3%). Yet fewer than 10% of methadone patients start HCV treatment. 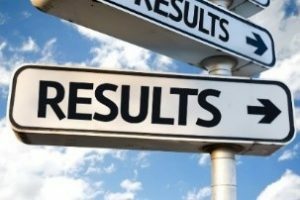 Getting those patients into treatment would accomplish important goals. 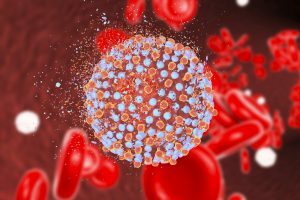 It would help lower the death rate from HCV infection, and would reduce what’s known as “community reservoirs”—people in the community who provide an ongoing source of HCV infection. In short, it would reduce the spread of HCV. But getting patients into treatment is an issue that poses problems of its own. See “The Forgotten,” below. It’s one of those truisms we tend to be unaware of until someone points it out, but the only patients who have a chance for HCV treatment are those who reach the “eligible” pool. And it seems that few patients get that far—as few as 1 in 6, according to a PLoS One study. The key: The patient-provider relationship. 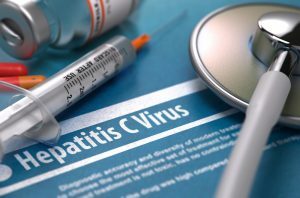 Patients deemed eligible for HCV treatment by those providing their care described more positive relationships with their provider; those less likely to be eligible reported concerns about the provider. Patients wanted communication and connection with their providers. They wanted information directly, through conversation, instead of being given pamphlets. The data yielded key information on barriers that tended to keep patients out of treatment, and the factors that could motivate patients to begin treatment. The main findings: patients didn’t tend to see the benefits to HCV treatment, and they felt closely occupied with barriers and concerns about treatment. Based on their results, the authors suggested that caregivers focus on six specific “themes”—in other words, six specific thoughts and concerns patients described. The first two are listed below, along with the suggested messages for providers to share with patients. I’ve heard some about the new Hep C treatment. What are the benefits to me? HCV can be cured. The treatment is easy and cures quickly. Getting treated makes you feel in charge. I’m not sure how the new treatment is different from the old treatment. What might be a barrier to me getting treated? Doctors do want to treat you; paperwork and transportation issues can be addressed. Similarities. Patients were highly confident about their knowledge of HCV, and were willing to take part in educational activities. Yet they had fears about HCV medication, particularly the side effects. And they were fearful about HCV itself, a disease largely without symptoms. Differences. In this study, patients’ perception of doctors was generally positive. Concerns did exist about logistics, such as transportation and paperwork. And some patients worried that doctors might not know enough about HCV treatment. In closing, the authors emphasized the importance of caregivers’ “understanding how HCV+ individuals in MMT programs perceive HCV and its treatment.” Once caregivers have gained this understanding, the authors believe, they will be able to plan interventions to encourage patients to begin HCV treatment. Bass SB, Jessop A, Maurer L, Gashat M, Al HajJi M, Gutierrez M. Mapping the barriers and facilitators of HCV treatment initiation in methadone maintenance therapy patients: Implications for intervention development. J Health Commun. 2017. doi:10.1080/10810730.2017.1414902. Rogol SS, Arnold RM, Chapko M, et al. The patient-provider relationship is associated with hepatitis C treatment eligibility: A prospective mixed-methods cohort study. PLoS ONE. 2016; 11(2): e0148596. doi:10.1371/journal.pone.0148596.